We found these cute cookie stamps in Sainsburys so thought we would give them a try. Making cookies is a great way to fill a morning with the kids and is suitable for children of all ages. Dough can be made ahead of time and kept in the fridge for a day or so or frozen. Likewise, cookies can be frozen either baked or unbaked. Here’s our recipe which holds its shape well in the oven. Play around with it and add some flavourings such as lemon zest, chocolate (replace 50g of the plain flour with 50g cocoa) or even lavender. Cream together the butter and sugar. Beat in the egg yolk, golden syrup and vanilla until fully incorporated. Add the flour and mix together until incorporated and it forms a dough. Stop mixing once it forms a dough. 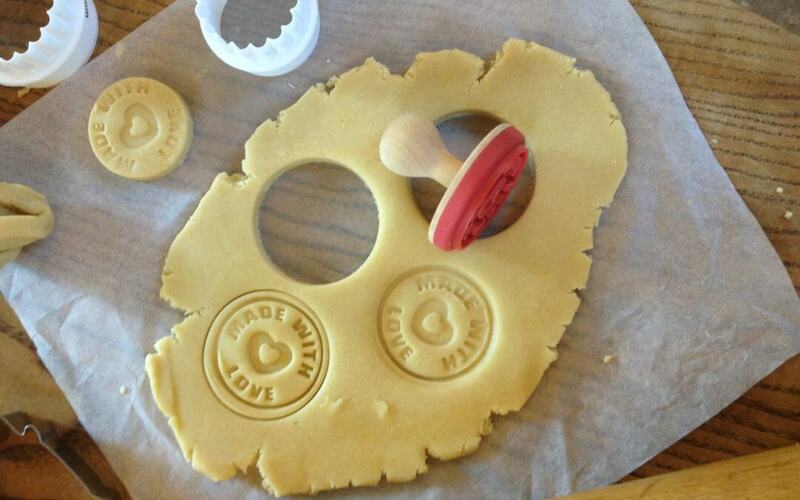 Roll, cut out and chill your cookies.